Thrifty Crafty Girl: It's So Yummy, I Named It After Myself. 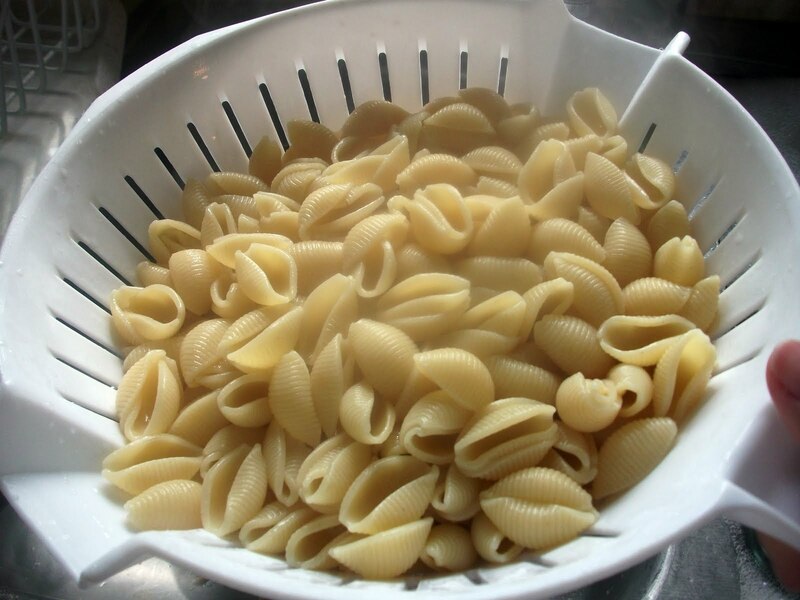 Boil the pasta shells as you normally would. 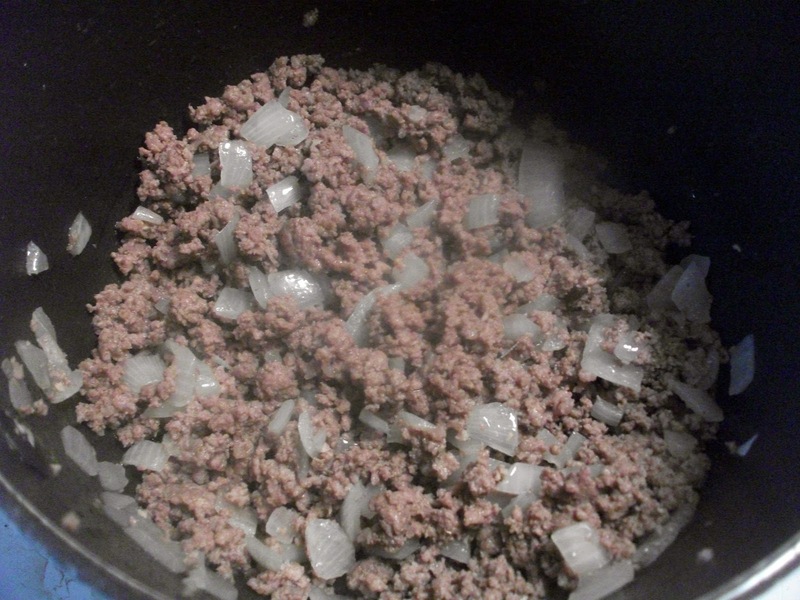 While they're boiling, brown the ground beef with the diced onion until the beef is browned all the way through and the onions are translucent. I love that word... transLOOcent. Once you're here, you can add the tomatoes and pesto to the pan. 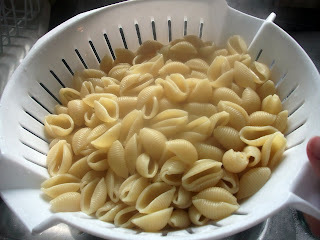 Let it cook for a few minutes together, just long enough to drain your pasta. Once you've drained your pasta, add it to the pot, too. Could this be any easier? I think not. 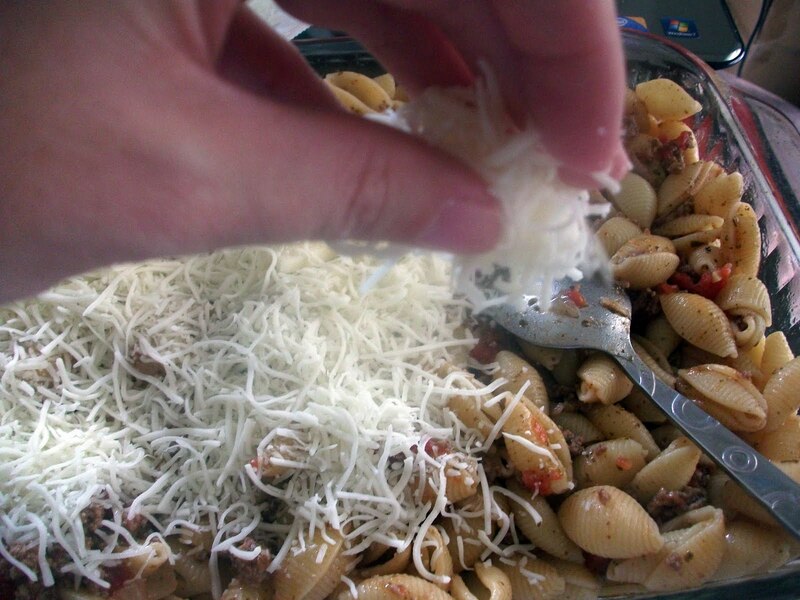 Mix it all up and then throw half your cheeses into it. After you've done that, immediately pour it into a 9x13 casserole dish. Top it with the rest of the cheeses. Bake it at 375 degrees until you're happy with it... what does that mean? Well, I like my cheese to be a bit brown on the edges... but if you just want the cheese to be melty (which is awesome as well), then just take it out when you've reached that point. 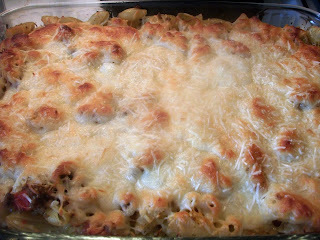 It takes about 30 minutes to get it brown on the edges for me, so check it at 15 or 20 minutes for a more melty cheese. You can cover this with aluminum foil to bake it as well, if you're concerned about the cheese browning. Oh, and I can I just say that this recipe reheats beautifully? 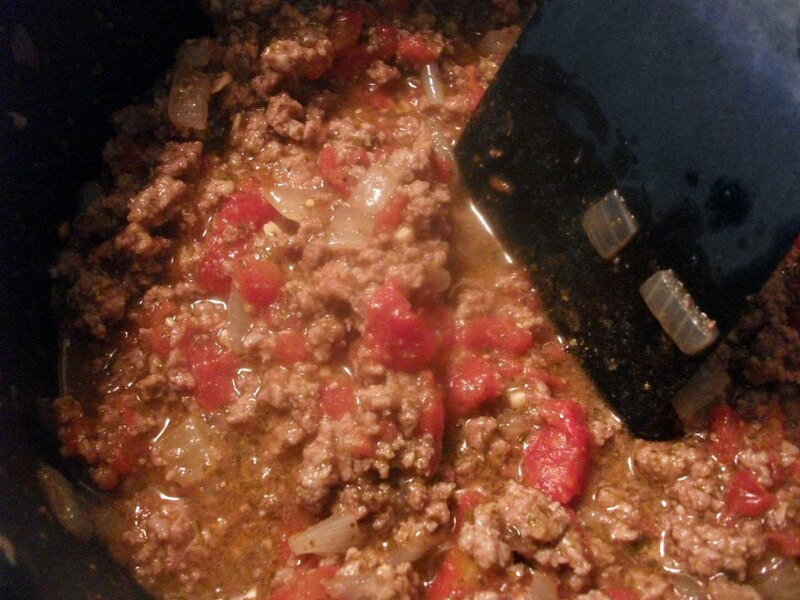 It makes a ton but it doesn't bother me because it is still so good the next day. Oh man, am I hungry. 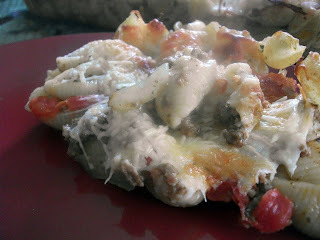 This is so yummy, you have to try it. Serve it with some garlic bread and stuff yourself silly. It's amazing. Truly. Now pardon me, I have to wipe some drool off my keyboard. Tks for stopping by and leaving such nice comments. New GFC follower as Silverfaerie via the FMParty at "the perfect line"